How much is a pinch? The first moderately nice day we’ve had in over 5 months and I spend it at the outdoor shopping center. At least I was outdoors, right? Other than that, I’ll see you over at the new site! Hopefully…. 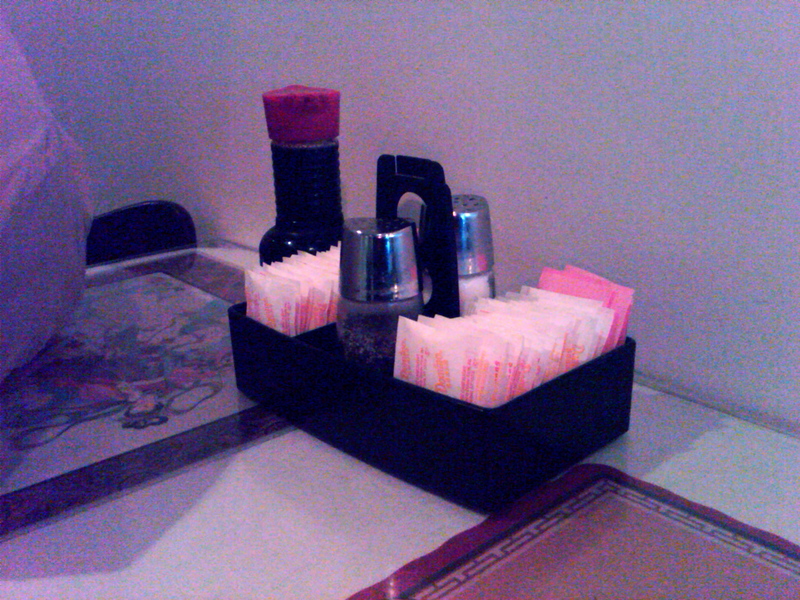 I don’t like restaurants. Admittedly, there is some degree of food snobbery at work in this dynamic but, I swear it’s not only because I’m pompous enough to believe I can make it better (or at least healthier). For example, there is the small fact that I have absolutely no money, no job, and a credit score that would make the ex-CEO of Enron pity me. Given this, I hardly ever eat out, unless there’s baked falafel involved, and, if you live where I do, you know there’s none of that to be found. 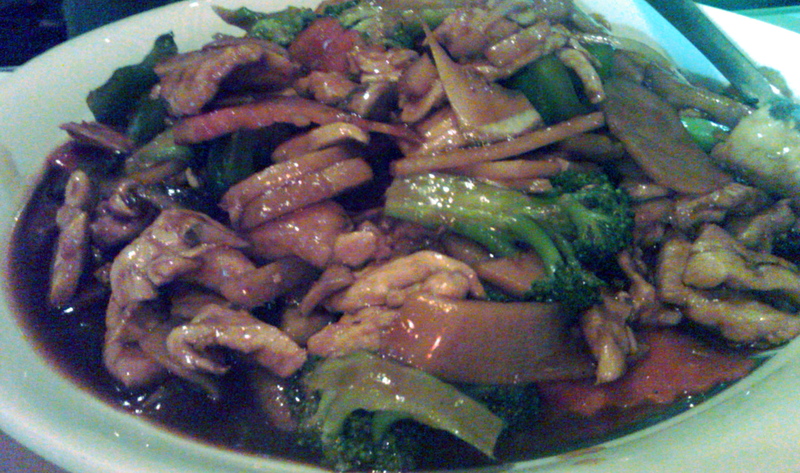 But the other night, my friend and I decided to go for a walk, eat dinner and walk back. 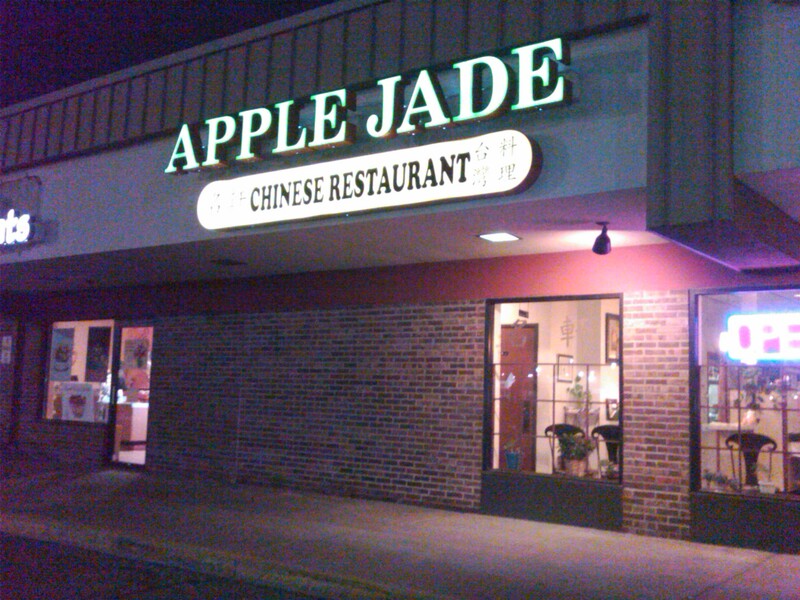 So, after a long short walk to the closest shopping center, we found ourselves in a little Taiwanese restaurant by the name of Apple Jade. 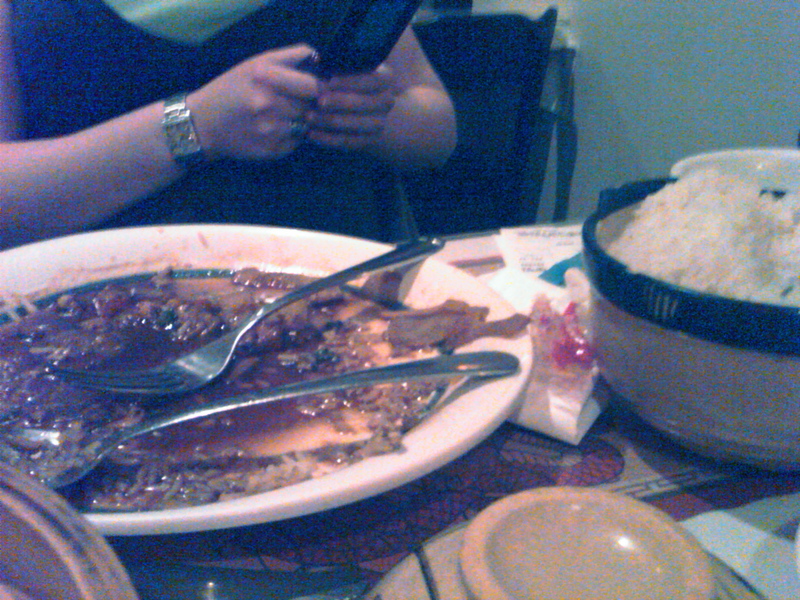 Normally, I don’t like to eat Asian food. If I am eating out, it’s usually going to be at one of two types of places: a place with good hummus or a place with 100-calorie soup. 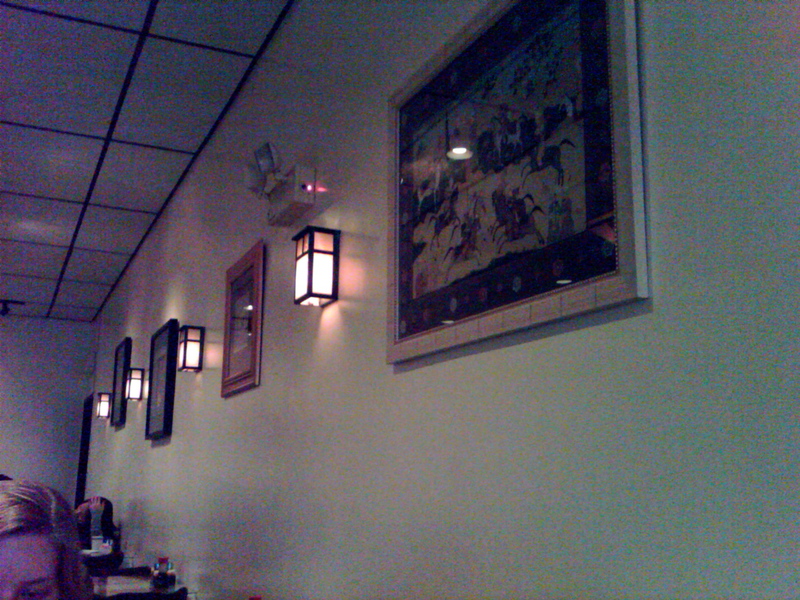 Asian food fits neither of these criteria, but I had vowed to myself before leaving that, no matter what happened, I would let my friend pick the place this time. No matter what happened. Little did I know this meant an unexpected guest would be joining us for dinner. Unknown, uninvited, and, most definitely, unwanted. If any outside spectator were to have looked at the two of us eating our dinner, they would have seen two friends enjoying a meal together. They would have been right up until a point. I enjoyed taking a few pictures while my friend and I ranted back and forth over random, inconsequential topics. 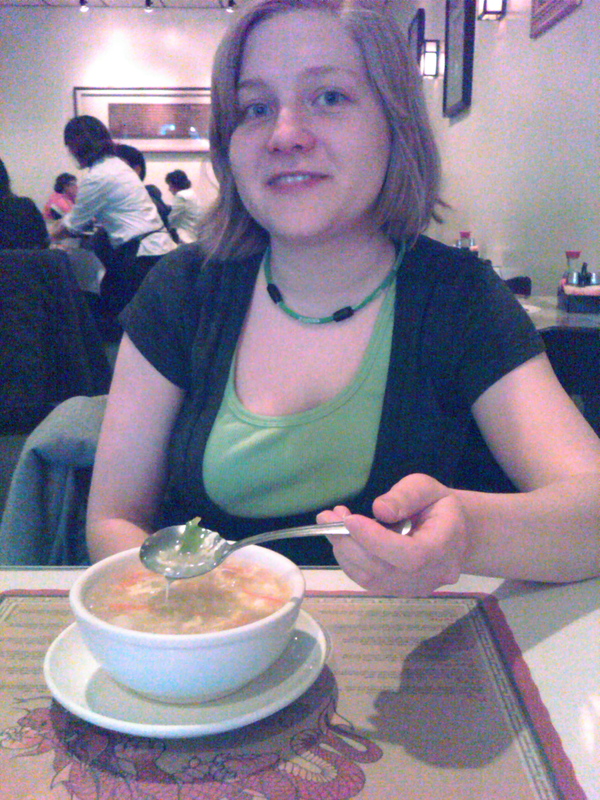 I enjoyed watching her eat her soup, slurping away at it while trying to avoid letting her laughter get in the way. I enjoyed almost knocking my water glass over when my friend said something about raising goats. I enjoyed being stupid and childish together in a way that you only can with a good friend–I really did. 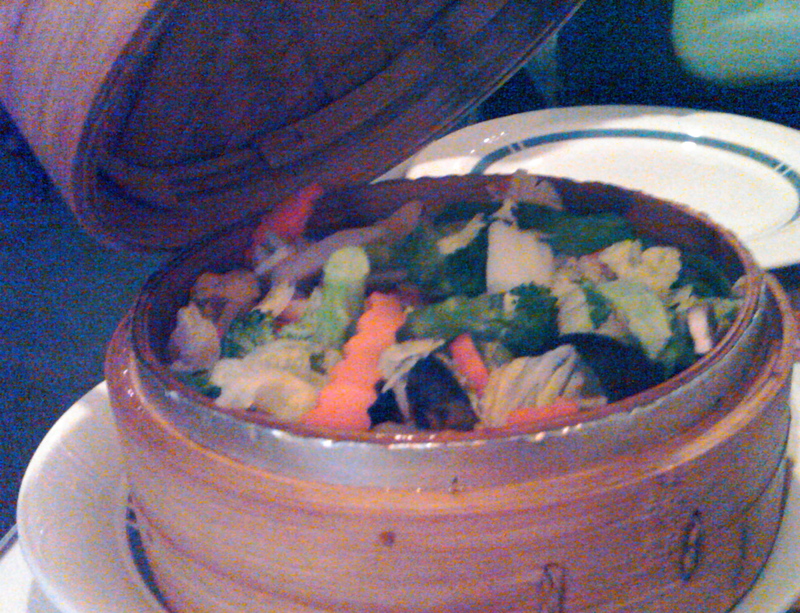 But I should have known better…I knew there were three the minute my giant bamboo steamer full of vegetables arrived. ED: I think there’s grease in this. Emmie: Why would there be grease in it? There’s no grease in mine and I didn’t even say no grease. ED: But I’m getting that greasy feeling. Emmie: Mekkie, relax. 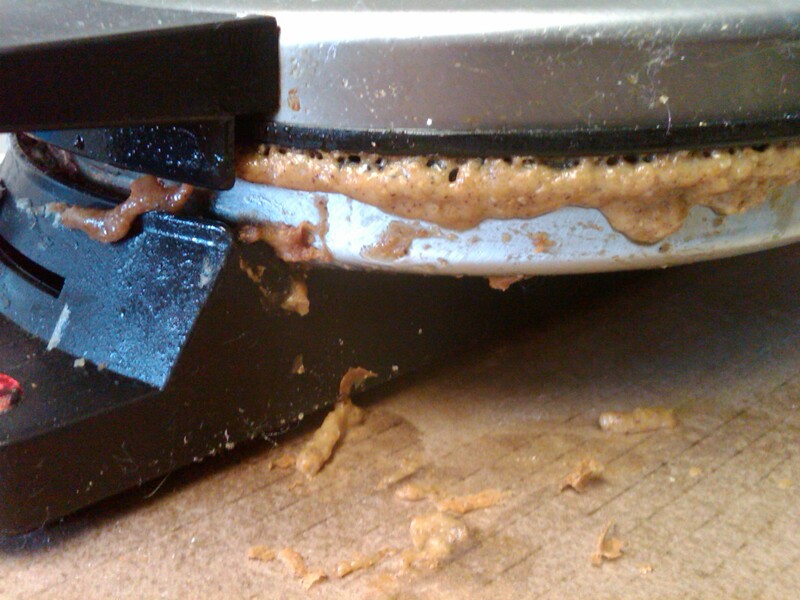 If you told them not to put grease in it, why would they? ED: Do you want to try some? Emmie: *clearly unaware of what was going on* Sure! Want to try some of mine? ED: Well, is it greasy? Emmie: *pause, clearly for thinking* I don’t know. I really can’t tell. ED: Oh, great. It’s greasy. I knew it! Emmie: Do you want to try my camera for pictures? Me: Yeah sure, why not. *a few minutes of picture taking* Make sure you email them to me. ED: I swear this has grease in it. Emmie: Just eat it, Mekkie. You need some fat, you know. Me: Right, besides, how much grease could it really have? Emmie: You know, vegetables have some grease in them naturally. Especially the green, leafy ones. ED: *secretly, to Mekkie* Great, now you can’t eat green, leafy vegetables anymore. Mekkie: *hoping she can invent a counterattack to ED because she really loves arugula* They do?! Are you sure? Emmie: Yeah, but it’s good, natural fat. You need some fat Mekkie! Me: So is your stomach feeling better? Mekkie: God, what am I going to do when you’re gone?! Who’s going to make me eat my grease then? Emmie: I’m not just going to drop out of your life forever. 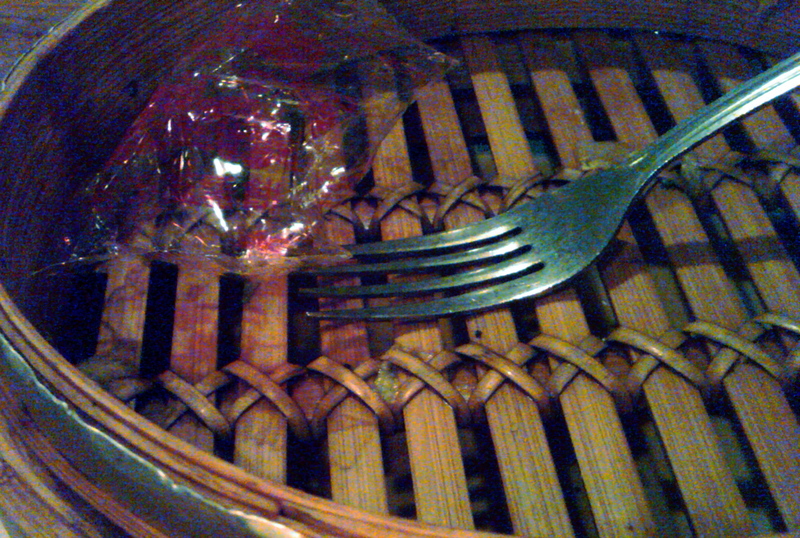 ED: (referring to the empty bamboo steamer) Maybe the bamboo has grease. ED: And it comes out when they steam it. Emmie: Well probably! Wouldn’t you sweat grease if you were about to be put in a hot oven?! Mekkie: *laughing* (with a sigh) Oh Emmie…I’m really gonna miss you. Waitress: *seeing we are done* Do you need a box for that? Mekkie: *pulls out nine dollars, making sure to avoid lucky five dollar bill with words “DON’T WORRY BE HAPPY” written on it)* I hope this is enough. Emmie: *pulls out credit card* Should be. Mekkie: *hands Emmie money* Ok. So I guess just put it all on your card then? Emmie: *confused. hands waitress bills and card, ignoring the fact it’s a single bill* So here’s nine dollars. And put the rest on the card. Mekkie: *takes bills and card. gives card to waitress* Just put it all on the card. *looks at Emmie* It’s simpler. Mekkie: *hands bills to Emmie* Wow, we are out of it today. 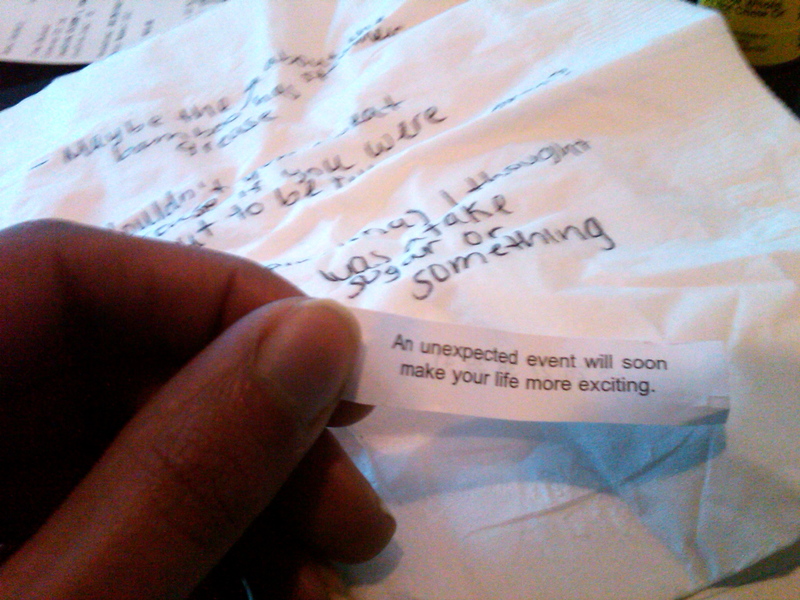 Mekkie: *cracks open cookie, reading fortune out loud* An unexpected event will soon make your life more exciting. What could that mean? Mekkie: *excited* Maybe it means one of the internship places will call?! Emmie: *eating cookie* Yeah, I bet that’s what it is. Mekkie: How do you know? Maybe it’s something bad. Emmie: You know what I meant. Mekkie: Well, what does yours say? Emmie: Oh! I keep forgetting to read it. Emmie: *reading, through laughter* An unexpected adventure awaits. Mekkie: I bet you’re going to get that job! Mekkie: Ok, let’s go. I have to pee. ED: I swear those vegetables were really greasy. I can just feel the grease adding to the blubber. Emmie: *sigh* Oh, Mekkie. Let’s just go pee. And, no, one of those ingredients is not eggs. Or egg substitute. This is a perfect recipe for days when you wake up wanting a real breakfast but the fact it is snowing in April makes you so adverse to the thought of doing anything that you cannot scrounge up the energy to find more than two ingredients–i.e. yesterday. Or really just any day. 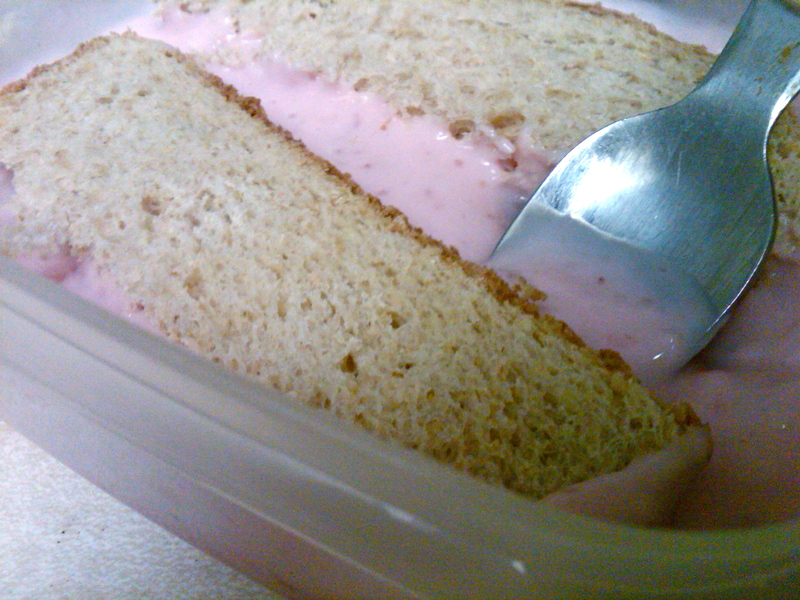 →Put the yogurt or applesauce in a shallow container that is wide enough to hold your bread. 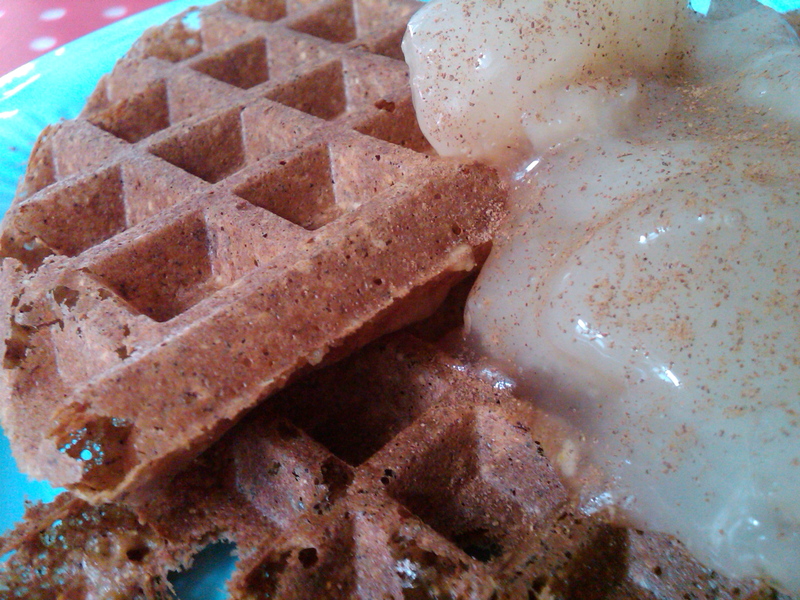 If your yogurt or applesauce is thick, mix it with enough water to make it the consistency of pancake batter. Add in any spices or seasonings you want. Put the bread in the yogurt (or applesauce) and let it soak a little. Flip it over to get the other side. Spray a small/medium saute pan with nonstick spray. 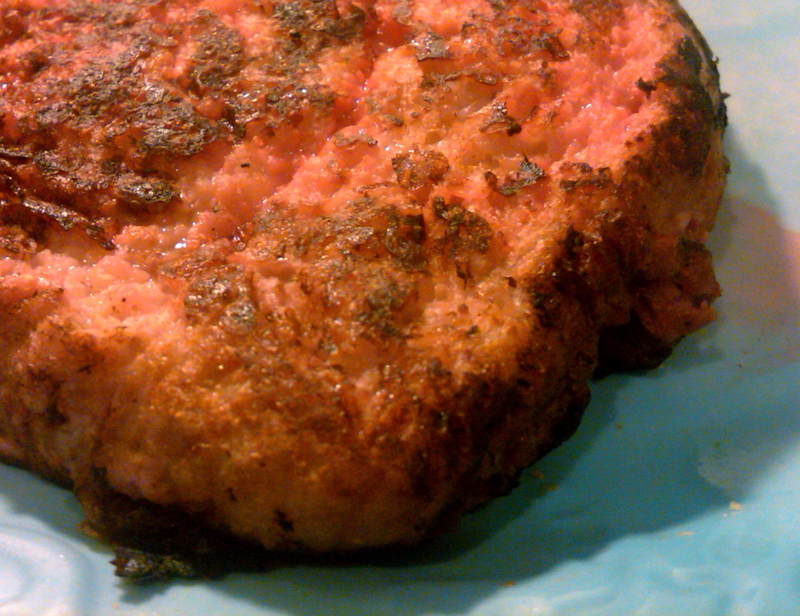 Let it sit on medium heat for a minute (just enough to preheat it). 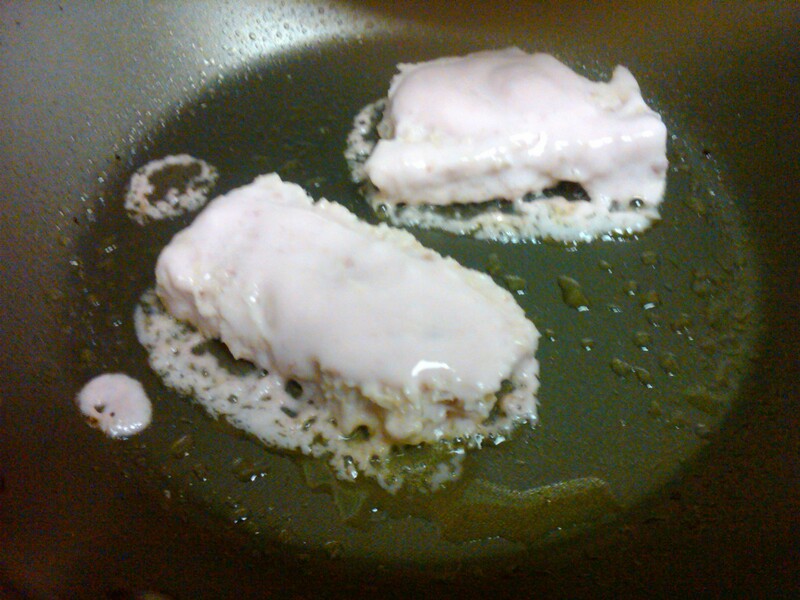 Take the bread out of the yogurt or applesauce mixture and put it in the pan. Top with more yogurt (or applesauce). Flip it after about a minute (or when the bottom is brown). If there’s any left, top with some more of the “batter”. Once both sides are brown, take it off the pan and eat it while contemplating whether April snow showers will bring May flowers. The produce selection in Michigan these days is a dismal affair: it’s in that in-between stage where boxes brimming with bright berries can only be consumed with longing gazes, but sturdier alternatives like hard winter squashes are nowhere to be found. Perhaps I’m not going to the right places or perhaps I’m just too picky. I am a fairly picky eater, even more so when it comes to produce…I don’t like apples…or oranges…or bananas…or carrots or…. And I certainly don’t like spending a lot of money on fruits and vegetables (all the less for other, more gourmet foods, like nuts!). Given this, it should come as no surprise that I rarely consume leafy greens other than “standard salad blend,” which, once you’ve had a taste of anything else, becomes boring, mundane and tasteless. This probably explains why it’s the cheapest. Arugula–is the exact opposite: sharp-cornered, intense green leaves textured with a pattern of small dots that warn of the peppery blast to come. With personality like that, it is no wonder this sharp leaf costs 5X as much (per ounce) as the hospital-wall white bargain in a bag. You may hear from other (less discerning) foodies that spinach and pepper is an acceptable substitute, but this is akin to swapping green peas with lima beans and sugar. I suppose it depends how you define acceptable. My first experience with arugula was actually in England a few years ago, where I fell in love with the sandwiches sold at the chain pharmacy, Boot’s (not with a z like my cat). The sandwich, which featured a simple paring of carrots, hummus and the accurately named “rocket,” quickly became one of my favorites. It wasn’t until I tried to mimic the arugula-spiced sandwich upon my return that I learned “rocket’s” U.S. translation was “expensive”. 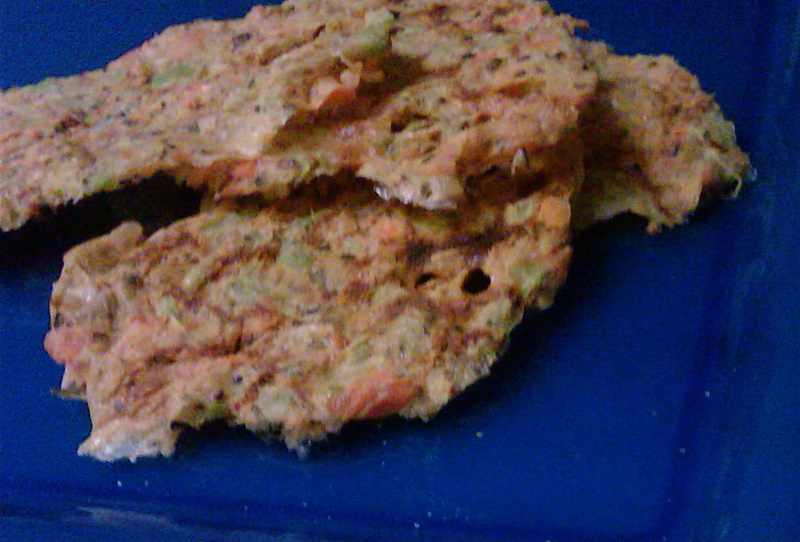 I tried the recommended spinach and pepper substitute but found the result so distasteful I preferred to do without. 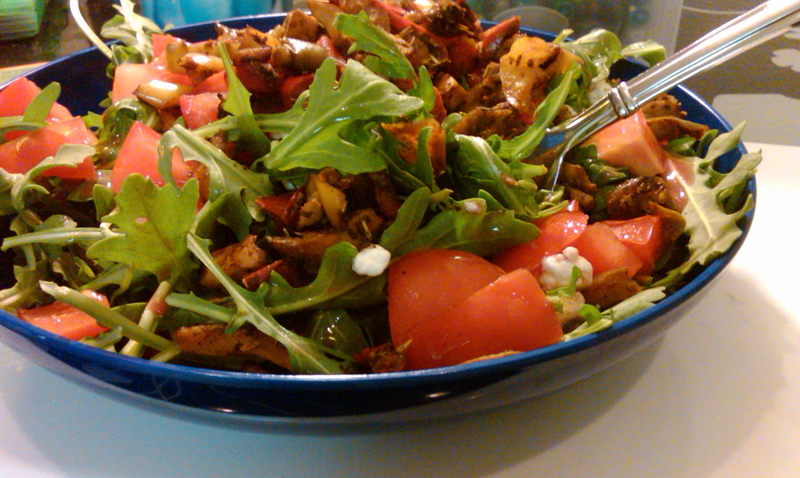 And so ended my affair with arugula…. Until yesterday at Kroger where, out of some inexplicable cosmic irony, I happened upon a (perfectly healthy-looking) box with two labels: one proclaiming the box contained USDA-certified organic baby arugula (a.k.a. rocket, eruca, or “the peppery-est thing your tongue will ever encounter outside of a tiny glass bottle), and the other proclaiming it was 70% off ($1.29). I’m sure you can figure out the rest of the story…. →In a small/medium saute pan greased with nonstick spray, “saute” the mushrooms, 3 pepper blend and garlic (if using minced). Near the end of cooking, add the vinegar and spices. Set aside. Put the arugula in a salad bowl. Top with crumbled goat cheese. Toss on the (still slightly warm) peppers and mushrooms. If you want, drizzle with a little extra balsamic to create a “dressing” (for those that don’t like the idea of “dry” salad). Eat slowly, savoring each peppery bite. Yeah, it’s been a great month. To me, a world without yogurt is a woeful world, unimaginably grim and full of longing. If being vegan meant I could never eat yogurt again, I don’t think I would even be able to consider the possibility. Eggs I can easily live without and, milk, I don’t drink very much of, but little 6 oz. cartons of diet yogurt consume most of my food stamps. And that’s not even counting the soft-serve. 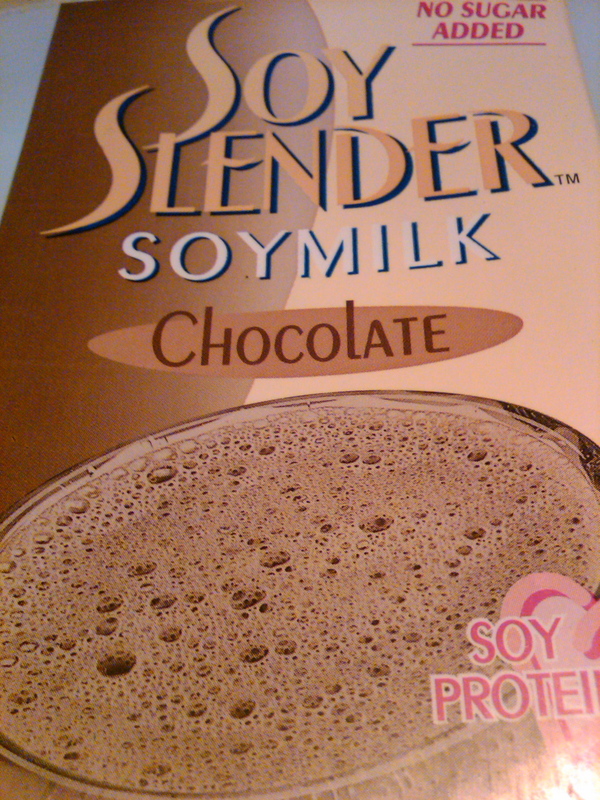 Given the nutritional stats of store-bought soy yogurts, this horrible nightmare could have easily become a reality. But I am lucky to have grown up in a house where making yogurt was not only common, but also free of expensive hardware (I’m still not quite sure what a “yogurt maker” is, but, either way, you don’t need one). Yogurt is among the foods most people file under “impossibly hard to make/never going to attempt”. I can’t imagine why, though, seeing as how it’s probably one of the simplest things you can make. Admittedly, there is a lot of luck involved: I’ve been making yogurt since high school and I still have occasions where it doesn’t set. A few factors are critical to yogurt making: cleanliness, temperature and cleanliness. Really, I can’t stress it enough: the yogurt will not set if anything that touches either the soymilk or the yogurt starter is even the slightest bit dirty. 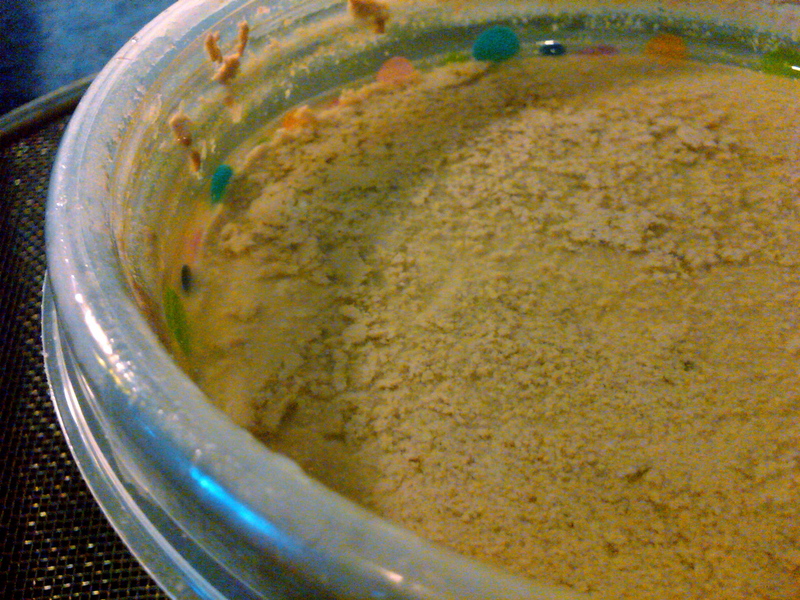 And I don’t mean “crusted” dirty–I mean “microscopic bacteria” dirty. You don’t want any other bacteria to prevent yours from thriving, now do you? (By “yours,” I mean the bacteria we associate with yogurt). Safest bet it to sterilize everything in boiling water, but, for the lazy among us *waves*, a good washing and a little caution will do. As for the temperature, you will hear different things. My mother always said that the milk should be on the edge of hot and warm, but nowhere near boiling. It seems to work well enough for me. If you have a thermometer, I believe the official guidelines state 118*F, but, if you don’t, air on the side of “warm” since too hot kills while too cold only slows. 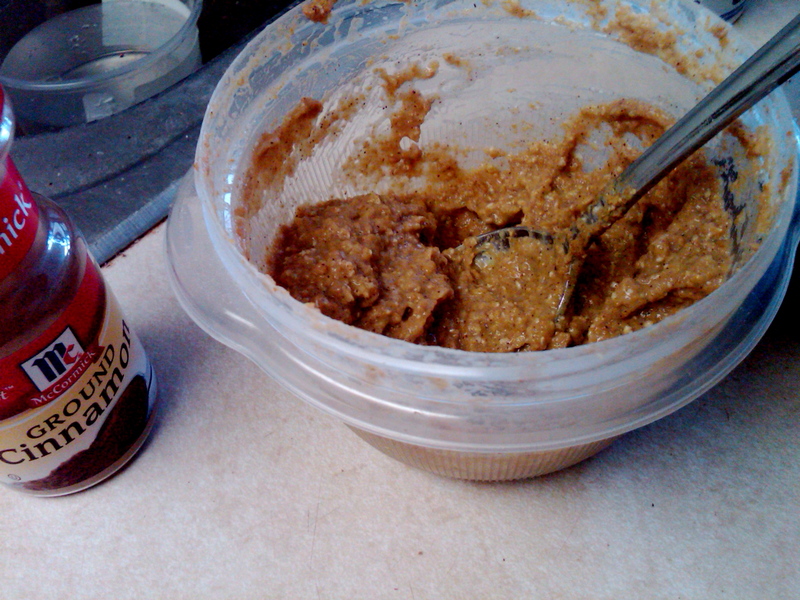 For my yogurt, I chose to use chocolate Soy Slender because last week (when I made this) was National Chocolate Week and Soy Slender was cheapest at Meijer. I’ve done this with other soymilks before (back when they used to carry my favorite brand) and it’s worked out just the same. Keep in mind, homemade yogurt (soy or otherwise) will never be as thick as store bought yogurt unless you add some kind of thickener to the milk after culturing. Want to know why? Pick up any yogurt container, read the ingredients, and you’ll find out. →Heat the soymilk (milk) to 118*F or till it’s “warm” (118*F is hotter than warm but, if you read the essay-length reasoning above, you’ll see why this is better). 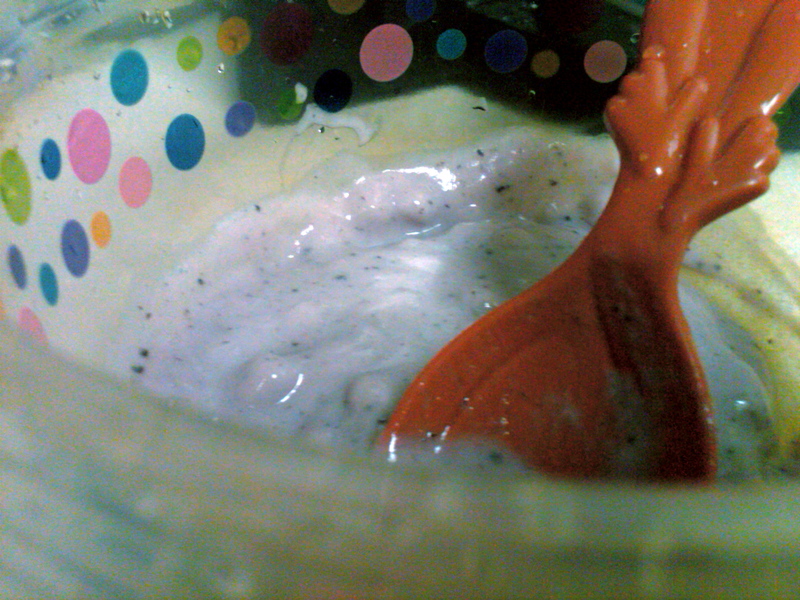 Put the yogurt in the bowl and whisk well. 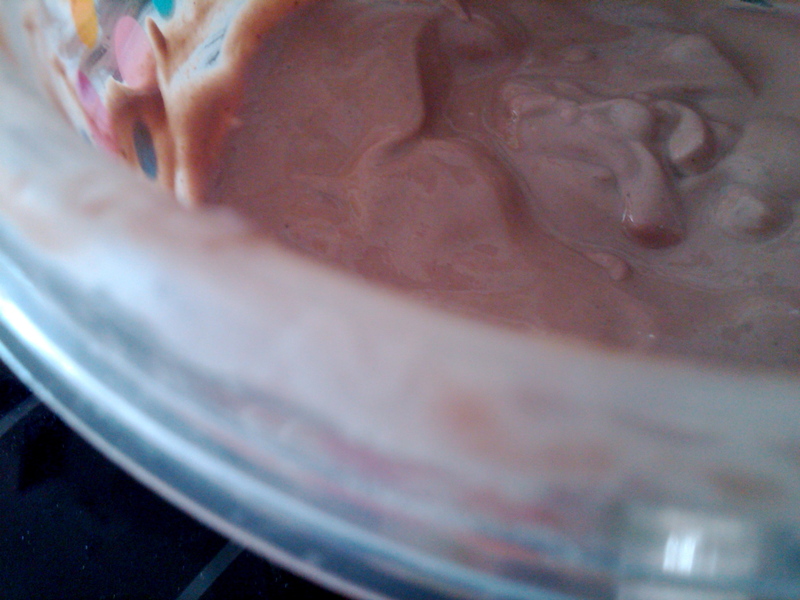 Slowly add the soymilk (milk), whisking continuously so as to evenly incorporate the yogurt (yogurt chunks = bad). There are a few methods of incubation. You want the temperature to be around 100*F (+/- 20*). If you live in a warm climate where the temperature of the room is 80+, all you have to do is leave the yogurt sitting on the counter (not in direct sunlight). To artificially achieve the same effect, place the bowl in the back of the oven with the light on (DO NOT TURN THE OVEN ON) and close the door. Or place it in the microwave with the light on (once again, DO NOT TURN THE MICROWAVE ON). I don’t like the idea of not being able to use my microwave/oven for a long period of time, so I wrapped the container in my heating blanket and left it on at low power. Seemed to do the trick. Not the most appetizing sight. Straining wasn't optional this time. After about 8 hours, you can check to see if the yogurt is done. The longer you leave it, the thicker and more sour it will become. I stopped culturing at about 6 hours because I didn’t want it too sour (it’s chocolate!). You can let it culture for up to 12-14 hours, depending on how you like it. To make thicker yogurt, strain it after you’re done culturing. 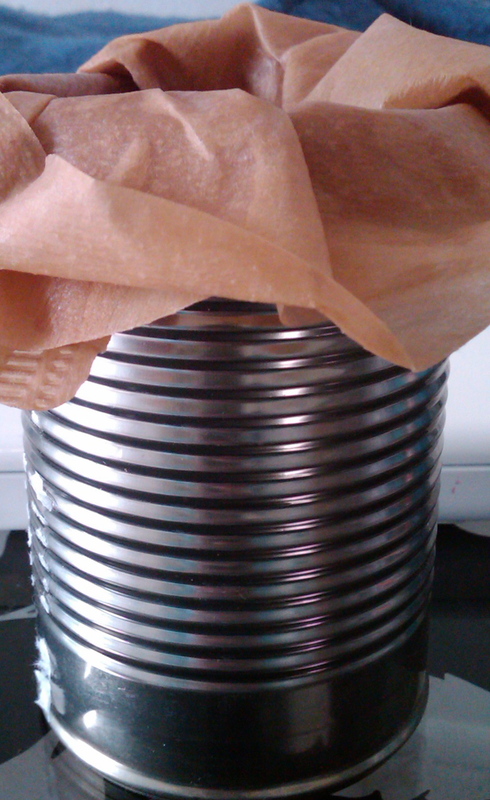 A cheesecloth with a weight over it would be ideal, but I didn’t have one so I put a few coffee filters over a metal can and let gravity do it’s job. Takes longer, but good things come to those who wait, right? 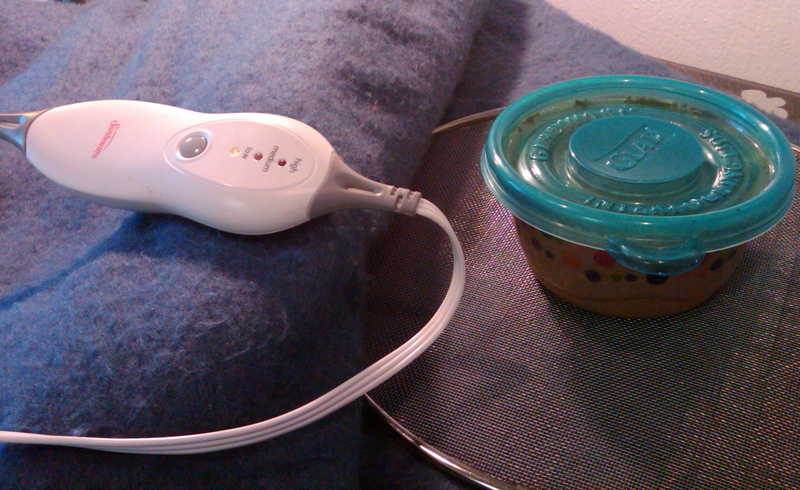 I’ve been researching the feeling I talked about yesterday (WebMD…we all do it). Apparently, it’s called “derealization” and is (or can be) associated with extreme anxiety. God forbid I should just feel “anxious” like everyone else. I skip past panic and go straight to delusional. For future reference, if you’re stressed and don’t really know why, it’s probably best to just leave it a mystery for the time being. 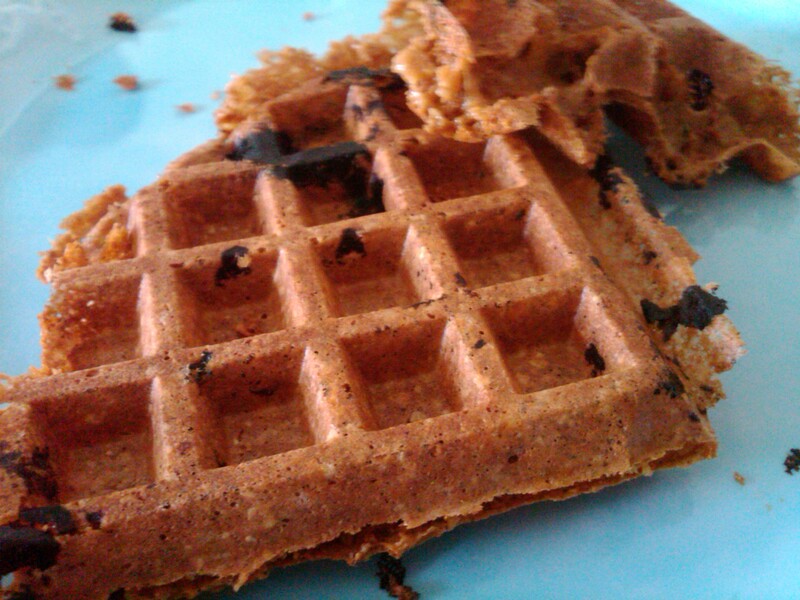 After a several minutes spent hyperventilating, pacing, and panicking, I grabbed a few towels and (being now properly armed for the coming apocalypse) decided to have some waffles. And, yes, I have completely lost it. Not quite sure what “it” is, but if there ever was an “it” (or several “its” for that matter), I am now officially without. 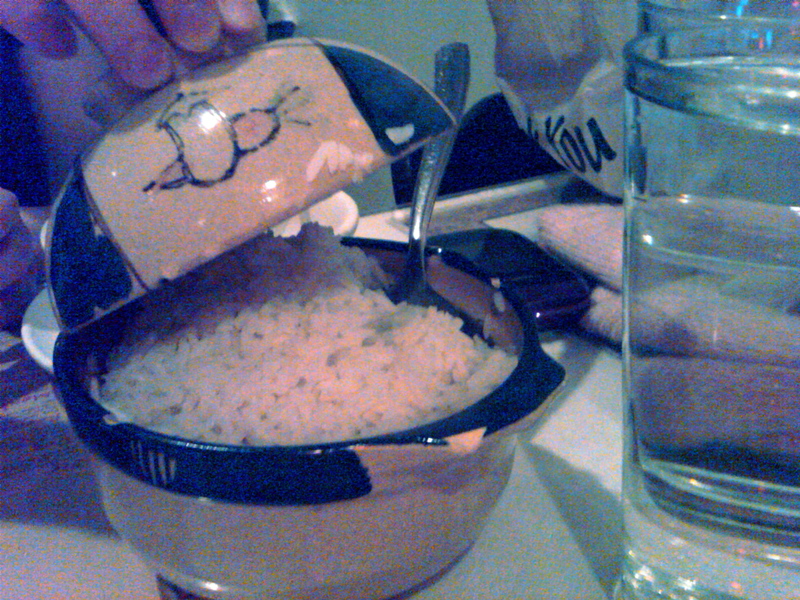 →Mix all the wet ingredients together in a small container/bowl/dish/cup. In a different bowl (etc), whisk the fiber one, other flour, baking powder and sugar substitute/seasonings. 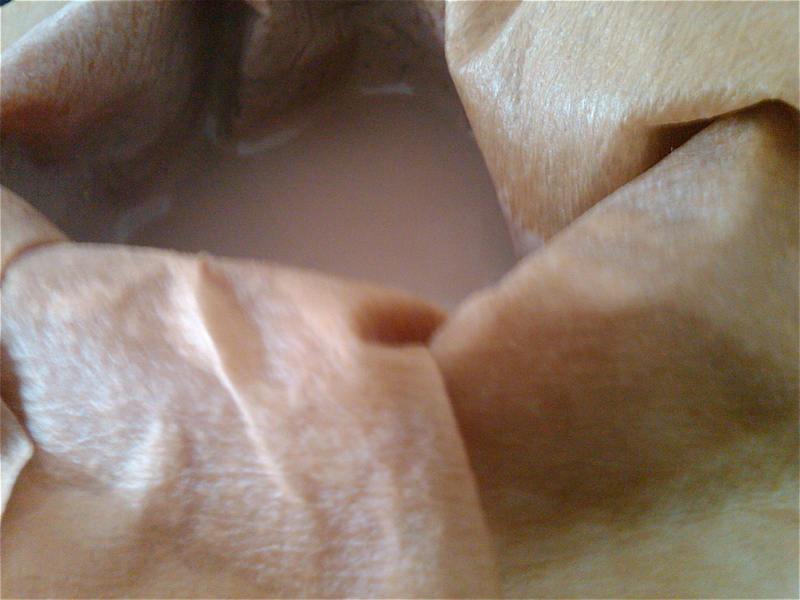 Add the contents of the second bowl to the contents of the first (or the first to the contents of the second) and mix well. 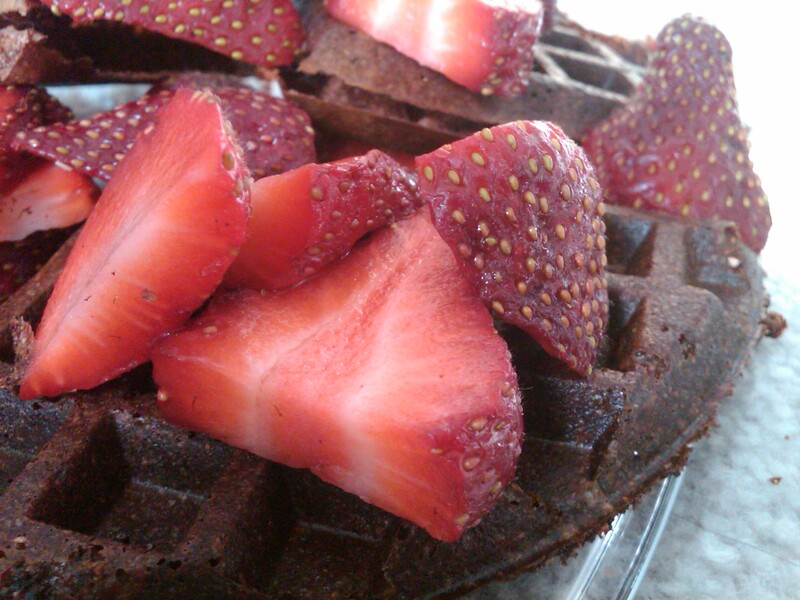 Cook in a WELL-GREASED waffle iron. Top with fruit or other topping of choice. Don’t bother cleaning. The world’s about to end. It is 5:26 pm. Friday, March 25, 2011. Why am I stating these mundane facts, this useless information? It’s the only part of reality I have left. Everything else feels hazy, blurry, wrong somehow…. I have spent the past 4 days sitting inside my apartment, becoming increasingly disassociated from everything that defines normality. I don’t think I ever sleep anymore, just drift in an out of consciousness. But who am I to say? Perhaps I am asleep right now. It makes me wonder how my cat passes the hours. Alone. With nothing more than the waving trees to gaze at through the window. There is deepening sense of…in the pit of my stomach. It escapes a single-word classification, but if I were forced to pick one it would be, quite simply, wrong. Something’s missing, something bad is about to happen, there’s no future for me, what am I going to do with the rest of my days? I know it’s no one’s fault but my own. After all, I was the one that wanted this: a semester “off”. I just never realized it would turn into this. This half-life that is becoming increasingly dreamlike. Worst of all, I think my my hands are changing color! →Mix all the ingredients in a small bowl. 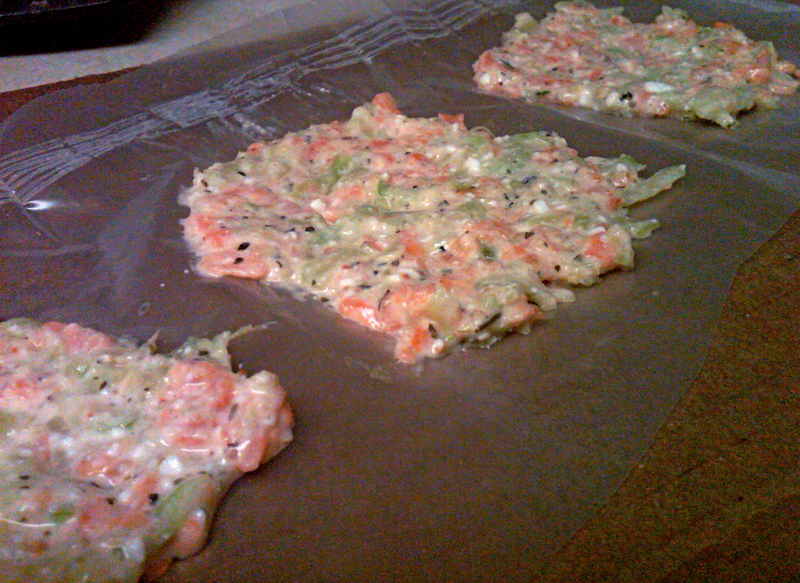 Spread thinly on wax paper, parchment paper or, if you’re like me/want to be environmentally-friendly, opened up cereal bags. Microwave on high for about 5 minutes, checking every minute or two. As I was going through (what seemed like) the never-ending archives of this blog in search of a perfectly written writing sample, I realized how much of it is about me. Not just any me, but the me I want all of you to see, the me I think will get me the most readers, the foodie me, and, sometimes, the me I wish I could be. In all truth, the real me is pretty ordinary. It’s a scary thing for an anorexic to admit their own mundaneness, but it’s true. I don’t climb walls and I don’t live out the prophecies of inspirational chick flick quotes–in fact, I’m lucky if I can muster up enough willpower to step outside my apartment and get some laundry done. I don’t know when exactly I came up with this superhuman me. ED turned lying into a game and, being overly competitive, I became obsessed with the idea of tricking everyone around me into seeing exactly what I wanted them too. As House says, “everyone lies,” but not everyone lies well. I did. I was (and still am) an expert liar. But today, I’m going to try to be honest (at least 6/7ths of the time) and tell you more about me with a little game. I’m sure you’ve played it before; it’s the one where you list some truths with a lie thrown in and the other people have to guess which is the lie. For my version, I’ve chosen 6 truths about myself that have absolutely nothing to do with food or eating disorders because, although that’s a big part of who I am, it’s not all of me. In middle school, my best friend nicknamed my crush “Voldemort,” because, whenever I talked about him, I said “you know who”. My favorite store is Target with Walmart coming in at a close second. The first website I ever made was an anime website glorifying characters of a popular anime show. There is a made-up song about my name, in which everything rhymes with “Mekkie”. I don’t know my best friend’s name and never did, because I’ve called her “Cars”. I tripped at my high school graduation and my diploma flew out of my hands, hitting a teacher before it landed on the stage with a very resounding thud. Which one do you think is the lie? I’ll post the answer sometime in the near future (depending on how many guesses I have). Enter your email so I can let you know every time I publish. Measure in pinches and squirts. Life isn't exact. Why should food be any different? Copyright © 2009-2011 Mehak Bansil. All rights reserved.